fxmtf.com offers clients a number of access methods – all developed to ensure highest quality of trade execution. 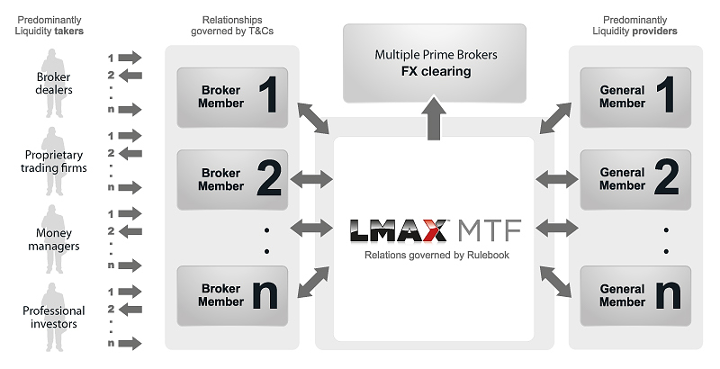 LMAX Global is an FCA regulated Broker for FX and part of the LMAX Exchange Group. LMAX Global offers brokers and professional traders the ability to trade on the LMAX Exchange central limit order book, offering tighter spreads on streaming firm liquidity from top tier banks and proprietary trading firms. PK Investment Services Ltd. (fxmtf.com) is an Introducing Broker for LMAX Global. Your account will be with LMAX Global and you will have the same level of service. The main advantage is that if you are introduced by us, you will have access to other services, and also a lower commission, initial deposit, as due to our total volume of client business, we are able to negotiate better commissions from LMAX Global that we pass on to our clients. Retail client: 3.3% for FX majors. Professional client : 1% for FX majors. Web UI, MultiCharts, Quantower: 0.0020% of the notional traded in the secondnamed currency. MetaTrader 4: $5.20 per standard lot Round-Trip. Clients can access LMAX Global through an easy to use, professional web based user interface. The LMAX Global’s web trading technology enables clients 24 hour online access to all LMAX Global Forex and CFD markets, with low latency, anonymous trading and superior execution. 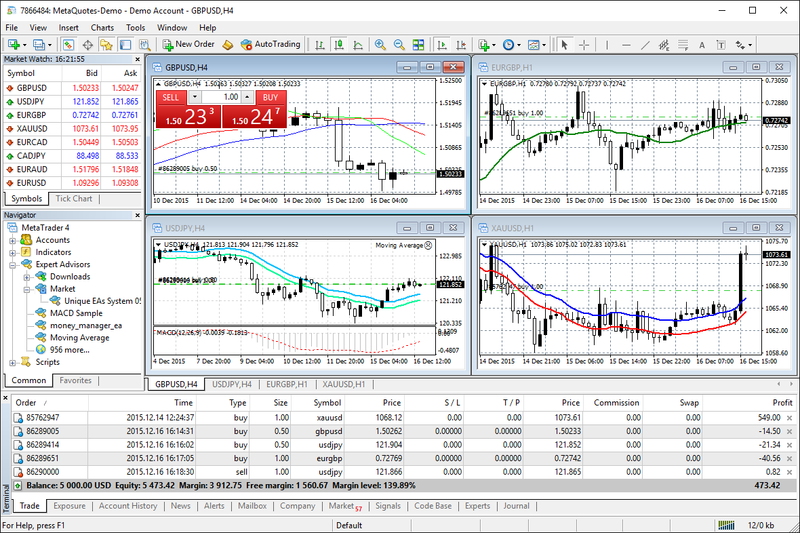 MetaTrader 4 Exchange client platform is designed to give you the edge in today’s busy trading environment, with live quotes, real-time charts and analytics. Through MetaTrader 4 Exchange, our clients deal direct with LMAX Global, this means higher quality of execution for the end client. LMAX Global can be accessed by traders through MultiCharts trading technology. 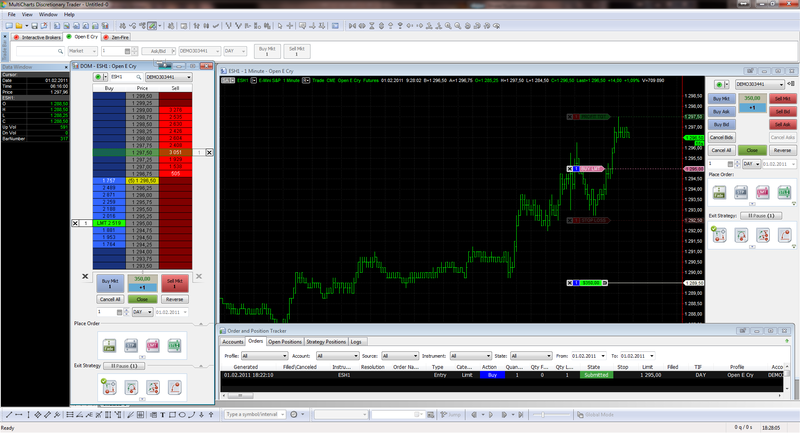 MultiCharts is a professional charting and automated trading platform, designed for Forex. 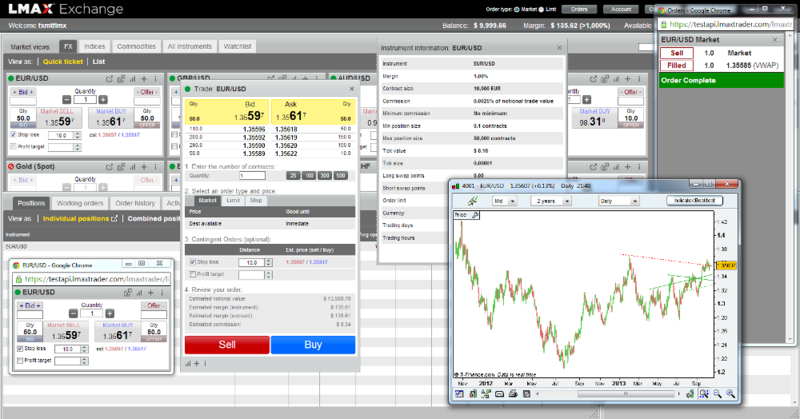 Quantower is a fast, modern and powerful trading platform developed by Quantower company. 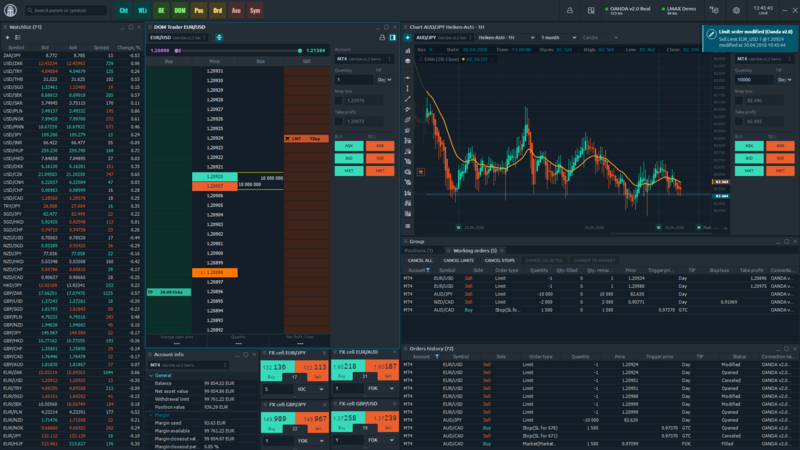 Thanks to wide customization, modularity and progressive solutions, our trading software can meet the specific needs of even the most demanding traders.